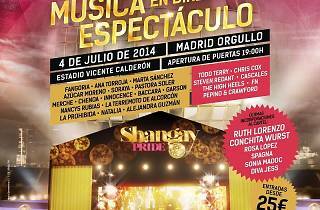 If the official programme of concerts for Gay Pride 2014 doesn't float your boat, you might find satisfaction in another line-up going on at the same time, that of the Shangay Pride, held at the Vicente Calderón stadium on Friday, July 4. Spanish LGBT magazine 'Shangay Express' is putting on the show to celebrate Pride, as well as its own 20th anniversary, in style. 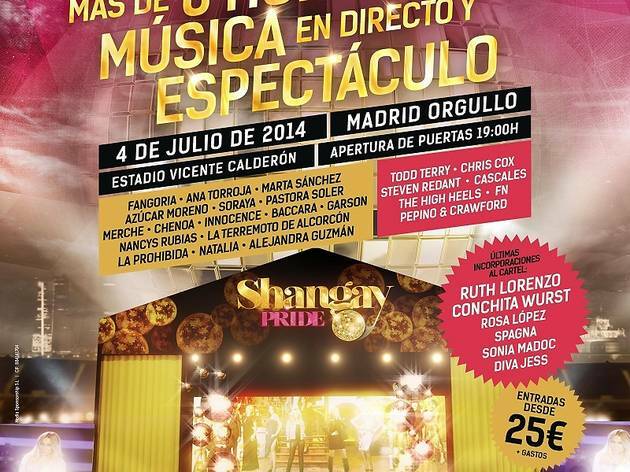 It's over eight hours of fun, surprises and performances that bring to the stage Conchita Wurst (winner of Eurovision 2014), Ruth Lorenzo, Rosa López, Fangoria, Ana Torroja, Azúcar Moreno, Nancys Rubias, Chenoa, Soraya, Merche, Garson, and Pastora Soler, as well as international DJs like Todd Terry and Chris Co, among many other artists.